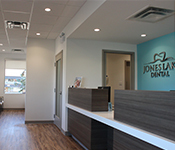 At Jones Lake Dental, we strive to provide timely, courteous, gentle, high-quality care for our patients. 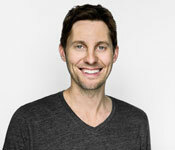 We welcome new patients of all ages and provide comprehensive treatment for your entire family. 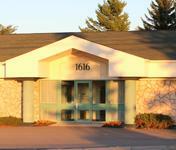 You can trust Jones Lake Dental for exceptional dentistry in a friendly and warm environment. We strive to see emergency patients as quickly as possible. If you have a dental emergency, be sure to call us right away so that we can work you into our schedule in a timely fashion. Our patients are partners when it comes to improving their oral health and wellbeing, and we are excited to provide education, effective prevention, and quality restorations. Whether you go to the dentist regularly or you have some catching up to do, we can provide treatment to help get your health back on track. We cater to fearful patients by offering sedation dentistry to make your dental appointment a relaxed, anxiety-free dental experience. Our office is located near Jones Lake and The Co-Operators in Jones Lake Place at the corner of MacWilliam Lane and Main Street. We provide free parking for our patients directly in front of our building with overflow free parking available directly beside our building at Jones Lake Place. We proudly serve Moncton and the surrounding communities of Riverview, Dieppe, Salisbury, Shediac, Petitcodiac, and Hillsborough.